Legislative Branch: The House Appropriations Committee approved a spending bill for fiscal year 2019 that contains a controversial provision (at Section 112) that would effectively block the IRS from enforcing the Johnson Amendment when “churches” violate it in even the most egregious ways, such as diverting charitable assets to influence partisan political campaigns. That bill is expected to be combined with other spending legislation and debated on the House floor in July. Importantly, the Senate Appropriations Committee approved its version of the same spending bill, but did not include the anti-Johnson Amendment rider. Read the letter in opposition to Section 112 and go to the Take Action page to learn what you can do right now to protect nonprofit nonpartisanship. Two new taxes on nonprofit operations and expenses are drawing the ire of nonprofit organizations from across all subsectors and throughout the country, as well as from their professional tax advisers. At issue are two provisions of the federal tax law enacted in December that went into effect on January 1, 2018. Section 512(a)(6) requires nonprofits with business income to pay the tax on each separate “trade or business” and prohibits the blending of profits and losses across lines of business. Section 512(a)(7) imposes a new, counter-intuitive income tax on expenses nonprofits incur for their employees’ transportation and parking. Both provisions are causing significant confusion for many nonprofits because their applicability is unclear without further guidance from the Department of Treasury and the IRS. For months, nonprofit organizations have written to the government seeking clarification on the new provisions and asking for delay of tax liabilities that are already coming due. Last week, the National Council of Nonprofits sent a comprehensive set of comments to Treasury and the IRS summarizing issues, concerns, and questions raised by dozens of organizations. The Council of Nonprofits makes the case: “To avoid manifest injustice, taxpayer confusion, ineffective assistance of tax practitioners, and risky speculation and filings of potentially inaccurate and/or unnecessary forms by hundreds of thousands of nonprofits, Treasury and the IRS need to delay implementation of these provisions until at least one year after Final Rules have been promulgated.” The Tax Section of the American Bar Association also submitted extensive comments and called for delay and formal rulemaking. 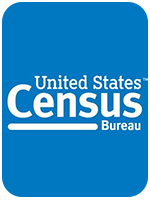 Public Comments for Citizenship Questionnaire: The U.S. Census Bureau is seeking comments on the citizenship question and the effects it may have on a fair, accurate, and complete count, as required by law. The National Council of Nonprofits opposes the inclusion of the citizenship question because of the likelihood that, among other things, it will suppress participation and lead to an unfair, inaccurate, and incomplete count. 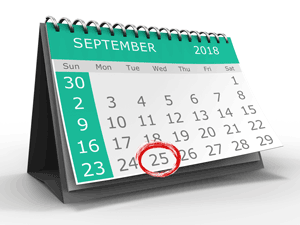 The public comment period closes August 7. GOP Budget Proposal: House Republicans released a budget proposal to balance the budget over the next nine years by making cuts to Medicare, Medicaid, Social Security, and education and training programs. Cost saving provisions would include adding work requirements to certain programs, consolidate student loan programs, and reduce Pell Grant awards. The proposal relies on high economic growth projections and requires large spending cuts for deficit reductions. House Republican leaders have given no indication whether the proposal will be brought to a vote, but no comparable budget resolution is expected in the Senate. As such, the release of the House budget draft is seen as a “statement” of priorities for use in the upcoming elections. Spending Cuts Bill Rejected: The Senate failed to pass a bill seeking to rescind, or claw back, $15 billion in spending that Congress had previously appropriated. Two Republicans voted against the rescission bill that had passed the House. Senator Burr (R-NC) cited concerns about $16 million in cuts targeting Land and Water Conservation Fund projects in explaining his no vote. He was joined by Senator Collins (R-ME), who objected to cuts in the Children’s Health Insurance Program. All Senate Democrats voted to defeat the measure. Shortly before a legislative deadline last week, the New York State Senate and Assembly approved a bill to decouple state law from the new federal tax on nonprofit and employee expenses for transportation benefits. The federal tax law enacted in December imposes federal unrelated business income tax (UBIT) on any amount a nonprofit employer has “paid or incurred” for qualified transportation benefits, such as mass-transit cards or employee parking (see above federal article). New York law imposes a state UBIT whenever federal law does so. As a result, New York would have automatically followed the new federal statute, imposing an additional nine-percent state tax effective January 1, 2018 on top of the 21 percent federal tax. The Nonprofit Coordinating Committee of New York, the New York Council of Nonprofits, and many other organizations advocated for the legislative fix. Advocacy efforts now turn to ensuring that Governor Cuomo signs the bill. Earlier this month, the North Carolina Legislature enacted a budget and spending bill that decoupled state UBIT on nonprofit parking from the new federal tax law, among other things. The provision ensures that tax exempt organizations will not be taxed an additional three-percent state UBIT or file state tax forms for their employees’ parking expenses. The North Carolina Center for Nonprofits had asked state legislators to decouple the state tax code to avoid state income tax for expenses. The budget bill that contains the UBIT fix had been vetoed by the Governor for other reasons, but the Legislature easily overrode the veto and the UBIT provision becomes effective retroactively to the beginning of the year. Questions and confusion have reigned for Kentucky nonprofits since the Legislature enacted numerous tax-law changes this spring. A comprehensive tax reform package, passed over the veto of the Governor, expands sales taxes to services and labor, and imposes a six-percent sales tax on admissions to events that may apply to charitable nonprofits. The Department of Revenue provided FAQs and confirmed that it will start collecting the new sales taxes beginning July 1. It has also been determined that nonprofit organizations will be required to collect sales taxes on fundraising special events, silent auction items, and some types of memberships (including, for example, recreational memberships). Several issues remain unresolved, such as whether camp registrations are taxable as recreational activities, or treated as child/day care, educational enrichment (i.e., STEM camp), faith formation, or rehabilitation. The Kentucky Nonprofit Network is hosting a webinar on June 28 to provide additional information about the tax-law changes and their impact on nonprofit missions. The Vermont House failed to override the Governor’s veto of the state budget and tax package that included a provision repealing the state’s charitable giving incentive and replacing it with a five-percent tax credit. The version sent to the Governor would have capped the tax credit at $20,000, meaning that regardless of donations in excess of that amount, charitable giving could only reduce state taxes by $1,000 per year. The Governor had proposed the change, the House added a $10,000 cap, and the Senate partially responded to nonprofit concerns by doubling the House cap. The Governor vetoed the bill over unrelated tax issues. The disputes must be resolved to avert a government shutdown at the end of the month. Last week the Massachusetts Legislature passed the “grand bargain” to address three ballot proposals regarding paid family leave, sales taxes, and minimum wage that likely would have drawn nonprofits into advocacy campaigns for and against the measures. The compromise provides for no reduction in the sales tax rate, the creation of a permanent two-day sales tax holiday, an increase in the minimum wage from $11 per hour to $15 per hour over five years (as opposed to four years), and creation of paid family leave for up to 12 weeks and paid medical leave for up to 20 weeks. The Massachusetts Nonprofit Network stated, “Overall, we are pleased with the legislative compromise reached,” adding, “the spirit of collaboration, on exhibit during these negotiations is at the core of our sector.” The measure awaits the Governor’s signature. After years of attempted implementation, the New Jersey Division of Consumer Affairs announced that effective May 1, all annual charities registration renewals and extension requests must be filed through a state-run online portal. Most charitable organizations that solicit funds in the state are required to register and file annual financial reports, but the new rules exempt some religious and education organizations, as well as small organizations that raise less than $10,000 annually and do not use a professional fundraiser. The Center for Non-Profits, the state association of nonprofits in New Jersey, is asking the Division to revert to accepting paper filings due to many concerns about the online portal, including that it fails to meet the statutory requirement to incorporate Form 990 information by reference, as well as vague instructions, lack of available context-sensitive assistance, difficulty in locating and uploading information, and an unresolved backlog. Nonprofits draw the short end of the stick from corporate tax abatements according to statistics provided under a new accounting standard. Governmental Accounting Standards Board Statement No. 77 requires state and local governments to disclose revenue losses from economic development tax breaks those governments issue. The numbers provided show cities lose hundreds of millions in tax abatements, with New York City taking the lead at $3 billion in lost tax revenues annually. Local nonprofits, libraries, and school districts can be adversely affected by these losses when policymakers cut spending due to lost revenues because those same policymakers expect nonprofits to fill the growing gaps in services to the public. Add these financial woes to the fact that cities and localities often turn to nonprofit property taxation as a way to make up for lost revenues. Thus, nonprofits can be hit twice when corporate tax abatements, sometimes called “corporate welfare," fail to generate promised economic activities. Help us register everyone who is eligible to vote! Watch an NVRD webinar on YouTube. The question may be rhetorical, but the statement isn’t. It was made during an oversight hearing on a Model Budget for Human Services Contractors held by the New York City Council Committees on Contracting and General Welfare. The chairs of these two committees genuinely understand the importance of nonprofits and are working to ensure service providers are paid for the actual cost of providing services on a timely basis. Together, they are overseeing the implementation of model contracting as a method to update reimbursement rates for nonprofit service providers. As for the rhetorical question at the beginning – what’s it going to take to get others to express and act on similar support for the work of community-based nonprofit organizations, the answer is ongoing nonprofit advocacy, of course. In New York, groups like the New York Council of Nonprofits, the Nonprofit Coordinating Committee of New York, and the Human Services Council have been educating city and state officials about the challenges of government contracting rules and training nonprofits on how to make their case before policymakers. And grantmakers, through Philanthropy New York, have joined in the call for reform. The hearing held on June 21 shows that engagement in advocacy is a long-term commitment. And one that pays off. - a delegate to the Southern Baptist Convention, explaining why he (and many others) boycotted the Vice President’s speech to the 9,000 attendees at the Southern Baptist Convention, quoted in Southern Baptists debate handling of a #MeToo case and hear a controversial speech from Pence, Washington Post, June 13, 2018. - Garrett Kell, a delegate to the Southern Baptist Convention, explaining his motion from the floor to replace the Vice President’s speech with a time of prayer, as reported in Why Some Baptists Weren’t Happy with Mike Pence’s Stump Speech at Texas Gathering, Texas Observer, June 13, 2018. - Laura Pierce, Executive Director of Washington Nonprofits, writing in “To Defend Against ‘Dark Money,’ Maintain the Federal Johnson Amendment,” Spokane (WA) Spokesman-Review, June 24, 2018. Washington State enacted a strong campaign finance disclosure law this year. - Jennifer Chandler, Vice President of the National Council of Nonprofits, in a June 21, 2018, statement releasing the Council of Nonprofits’ letter to the Treasury Department and the IRS on the uncertainty and challenges caused by new unrelated business income taxes. - Liz Farmer, finance reporter for Governing, writing in Supreme Court Clears Way for States to Tax Online Sales, June 22, 2018, explaining the impact of the landmark decision in South Dakota v. Wayfair, which now will enable states to tax e-commerce by an estimated $13 billion to $23 billion per year. - Rick Moniak, writing in “There’s no such thing as a nonprofit,” Juneau (AK) Empire, June 24, 2018, disputing the definition of the word “profit” and explaining the greater value of charitable works and organizations in Alaska, using data from the Foraker Group’s 2018 report, Alaska’s Nonprofit Sector: Generating Economic Impact. Charitable Giving: Learning Lessons from Einstein, Prometheus, and CEP Research, Tim Delaney, President and CEO of the National Council of Nonprofits, writing in the Center for Effective Philanthropy blog, June 4, 2018, examining how much charitable giving may shrink as a result of the new federal tax law, explaining why smaller and mid-sized nonprofits meeting local needs will lose the most, identifying urgent action steps to mitigate damage created by the new law, and challenging foundations and nonprofits alike to invest more in self-defense against increasing policy threats. Fact Sheet on Johnson Amendment: Trump Foundation Litigation and Pending Legislation, National Council of Nonprofits, June 15, 2018. See related Statement on Trump Foundation and the Johnson Amendment issued the same day. Updated Request to Delay Implementation of the New UBIT Provisions in Public Law No. 115-97, Jennifer Chandler and David L. Thompson, National Council of Nonprofits, June 21, 2018, making the case for delay in implementation of new taxes on tax-exempt organizations levied in the new federal tax law, including providing three-dozen questions from the field that must be answered through formal rulemaking before nonprofits can have any confidence that they are complying with the vague laws. Comments on the regulatory implementation of new section 512(a)(6), American Bar Association Tax Section, June 21, 2018, seeking delay in implementation of the new unrelated business income tax on separate trades or businesses. 2018 State Elections Forecast, Louis Jacobson, Governing, June 5, 2018, analyzing statewide races across the country as well as election predictions for the 45 House chambers and 42 Senate chambers up for grabs in November. The amount of reduced charitable giving in 2018 as a result of the new federal tax law. Source: Charitable Giving and the Tax Cuts and Jobs Act, Alex Brill and Derrick Choe, American Enterprise Institute, June 18, 2018. To offset the decline in giving, the authors explore several legislative options, including an above-the-line, or universal, deduction and a tax credit.